I have seen Felder universal machines improve in performance and build quality over the last twenty-five years and bought a model 741 F when I set up my workshop ten years ago. I asked Norman Woods, the manager of Felder UK, if he expected any major improvements in the development pipeline that might cause me to defer my decision and he said, 'No'. The 741 would deliver all that I expected of it and this proved to be the case until the 'X-Roll' sliding table was introduced some five years later. This did not bother me as I could find no fault with the one that I was using. The subsequent improvements that I became aware of through the promotional literature that I received from Felder UK interested me, but not to the extent of considering an upgrade. Not until Colin Eden-Eadon invited me to look at the CF 741 S Professional at the new Felder showrooms in Milton Keynes, last December. I was in for a surprise. In addition to the new universal, I also met Michael Huntley, the new editor of F&C. I am glad I took Norman Woods' advice and bought my 741 F when I did, but owning it did not prepare me for this latest version. 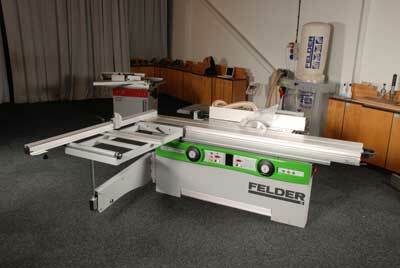 Yes, it is a universal with a sliding table saw, a planer thicknesser, a spindle moulder, and a slot mortiser, but the improvements that have developed show how much the team at Felder are in contact with the end user. I did have an opportunity to test the 'X-Roll' sliding table not long after it was introduced, when I took part in a demonstration of the universal machine at the American Furniture Society Conference in Wisconsin, a few years ago. It was very smooth in its action and sturdy enough to support a sheet of board material without the slightest sign of flex at its maximum extension. What really impressed me in the latest machine was the huge improvement in the rise and fall and the tilt mechanism of the saw blade. The old system was quite exposed and prone to a build-up of dust due to the application of lubrication to the moving parts. This problem has been completely eradicated resulting in a consistently smooth operation which is available with digital or dial operated movement. Access to changing the blade is made by lowering a hinged flap whose primary purpose is to improve the efficiency of the dust extraction below the saw table. 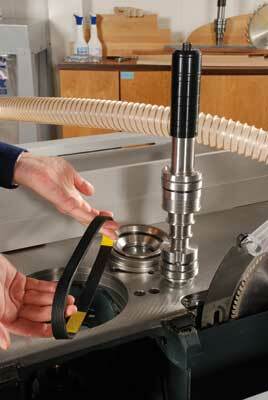 The saw guard above the table is carried by the riving knife, and the extraction tube is much bigger in diameter. 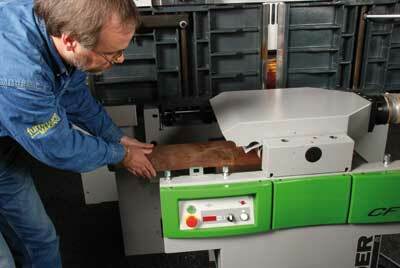 I have always been impressed with the planer thicknesser, particularly with the System Felder self-setting blades. The accuracy of the rise and fall of the lower table is something that I have benefited from on many occasions when I needed to machine another component to the same thickness of a previous one. These features are still included in the new model, but have been improved by the use of a large diameter central column with power assisted movement. 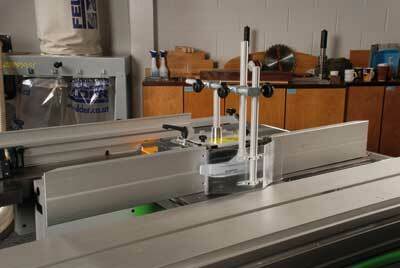 What impressed me the most is the improvement of the vertical adjustment of the outfeed table. It is factory-set to a height that aligns perfectly with the projection of the cutting edges of the blades, but it can be micro-adjusted to align with the cutting edges if you wish to hone the blades yourself - I do this with a very fine diamond stone. 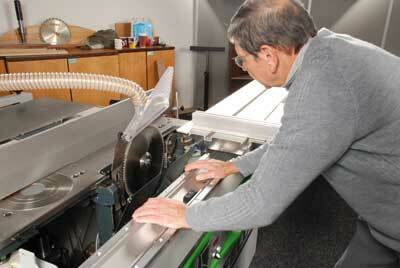 The plastic handle rests on the cutter block and the abrasive blade rests on the cutting edge. I count the number of strokes and make sure that this is carried out on all four blades. 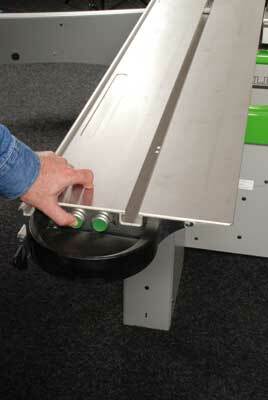 The outfeed table can then be lowered to the reduction of the rotating height of the blades. 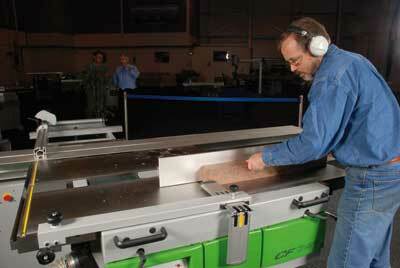 Whilst this is possible on previous models, the fine adjustment of the outfeed table moves at an angle and this results in a misalignment of the fence carrying edge that is common to the planer and the saw table. The vertical adjustment on the new machine eliminates this problem. Although my machine is fitted with a spindle moulder, it is an aspect of woodworking that I have not exploited fully, partly due to my huge collection of router cutters and my fascination for the router. Having seen the Felder DVD that accompanied F&C137, which features the collet chucks for router cutters that can be installed in the spindle moulder, I am sure that this function will be explored in the future. If you have not already done so, I strongly recommend looking at the DVD, which clearly presents the potential of the machine and the range of accessories that are available. If the DVD wasn't with your copy of F&C then call Felder on the numbers listed below to arrange a copy. A major criticism of universals - or combis as they have come to be known - is the inconvenience of change over from one function to another. This is certainly not the case with the Felder CF 741. With digital or dial adjustments, previous settings can be easily repeated and the short time involved in changing to another function far outweighs the limitation of floor space that individual machines create in a small workshop. 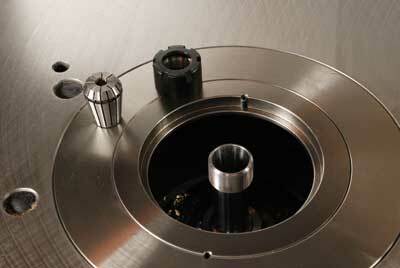 This appraisal would not be complete without reference to the build quality of the new machine. The standard of engineering and the attention to detail are second to none, and I am definitely looking forward to seeing one in my workshop in the near future. 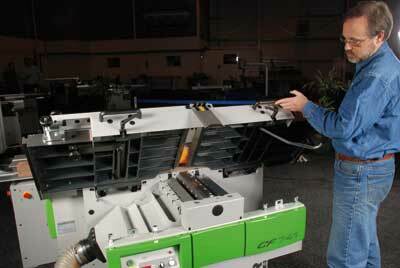 "What impressed me the most is the improvement of the vertical adjustment of the outfeed table"